Hello! This is just a quick post. One of my daily sketches, this is a WIP (Work In Progress). 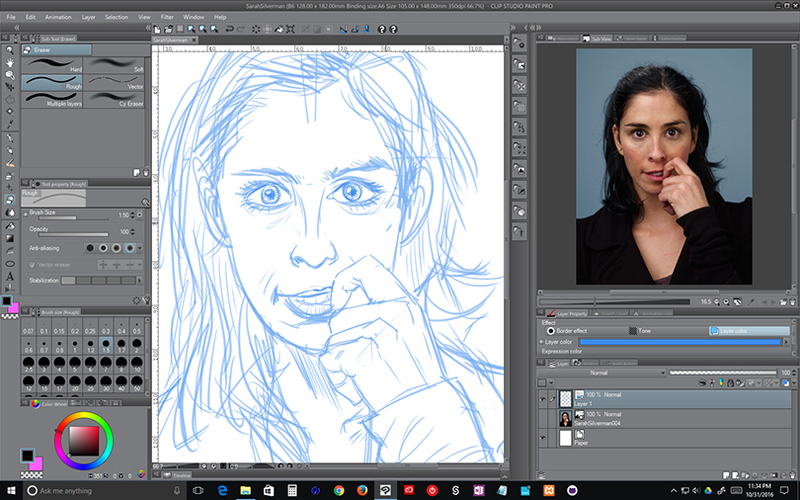 An illustration of Sarah Silverman, she is a very expressive actress and funny. So it’s a good way to practice different expressions using her as a reference. I hope you like my drawing and I will be accepting commissions soon! So stay tuned!!! And don’t forget to share this post and post a comment!! Pencils and Inks process video!